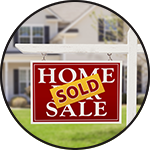 Having to commute from property to property can consume valuable time. This is where National Security Lock can help. Our Property Management & Realtor Services were developed to save you the time and money by partnering with a company you can trust to enable you to control & secure specific properties without ever having to leave the office. Evictions are tough on everyone involved. Property Managers, real estate professionals and financial/lending institutions rely on National Security Lock to open locked doors, re-key or change locks once the sheriff has carried out his duties. We understand the importance of professionalism in these situations and guarantee our technicians will arrive on time. National Security Lock offers our services 24 hours a day, seven days a week. 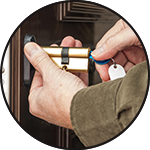 As a licensed, insured and bonded company, you can expect nothing less of experienced locksmith technicians, high quality products and unsurpassed customer service for all of your property management and real estate service needs.